the Blackberry 8830 World pagers. For hard of hearing people, check out WebCaptel on the Go! *For new activations and two year agreement. Now has a 10-digit personal phone number for you - free! and fill out the "Create An Account" screen and click submit! It was learned that the Cinemark filed a brief. not file a brief, however. nation's largest chain not to provide captions. 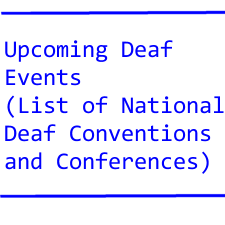 of the Deaf (TAD) biennial convention. has a new superintendent - in Debbie Arles. school program but it closed up in 1950.
on your left side, these red brick buildings. ALL SILENT CALL PRODUCTS ARE 10%  OFF! level job (public relations director). Of course, that applicant did not get the job. to develop hearing discrimination skills. the hearing of a young child." donation or a CI operation. have a Deaf Alumni Association? for a while before things got better with them. Almost all of them share these "unforgettable"
stages an annual conference in May in Washington, DC. aware of Section 715 provisions. when it is played loud. reasons, some good, some bad. the hearing loss to be at 97 percent. To be 97 percent deaf is also to be 3 percent hearing. jet engines and be forced to cover his ears. according to a yahoogroup posting. a time - without - purchasing a single cup of coffee. Because management gets annoyed with these "squatters"
most of the time and that his hearing rarely turned on? more than 2 CEUs. A Legal Interpreting track is being featured. register at huge savings of $140 each! 75-minute DVD  is excellent for ITP teachers and students! but cannot get it? A new option is the hybrid CI. Will it work? As always, we stay tuned. captioned or subtitled. Why and what should I do? is not showing much improvement. state legislators to give the school more money. on fundraising to fund their athletic programs. approximately $5000-$6000 from the show. 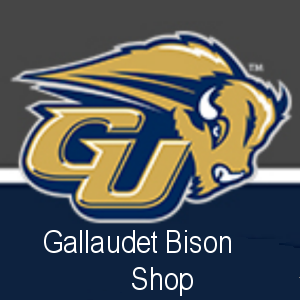 operations and funding for Gallaudet University and NTID. How many deaf employees do we have at that agency?